So why do I need a fresnel lens??? Well you can use any magnifying lens, but due to the curved nature of most magnifying glasses the picture you get will be heavly distorted around the edges. A fresnel lens is completely flat, and so you get no real distortion or bending of the image. Also a fresnel lens is unique, because EVERY part of the lens projects the whole image! Try this when you've bought yours... set up your projector, now put your hand in front to the lens, unless you completely cover the lens you will still get the full picture, because of this repeted projection the picture quality is very very high. Where can I buy a Fresnel Lens??? You can buy a fresnel lens from me! they are possibly the hardest part of the kit to make a Big Screen TV to get hold of. Or just click here to get straight to the plans! So what is a fresnel lens??? During the height of the Shipping Age in the 18th century, France was looking for a way to make new lighthouses along the coast of Normandy and Brittany. The lenses that were used in the lighthouses were huge pieces of glass that were both bulky and expensive. In 1748, Georges de Buffon realized that only one side of a lens is needed to bend light. In fact, only the outer surface of the lens is needed. Why do we only need the surface to bend the light? de Buffon cut away the inside of the lens and left rings with edges on the outside. Later, Augustin Fresnel modified this idea and the modern fresnel lens was created. His lenses were first used on the French coast as a lightweight and less-expensive alternative to the old, bulky lighthouse lenses. Below is a schematic cut-away diagram showing how a fresnel lens is made. Hi, this bit is just here to help with my search engine ranking, please ignore.. its not interesting..instructions to build your own 100 inch TV projector, pictures, FAQ, order the lens online and more... FREE PLANS massive home cinema, a 100 inchtv projector! You could have a bstv (thatâ€™s a big screen tv) link it to your video! Have a real home cinema! I sell the projection lens you need. lens and show you how to build it! Build how to? To to get tot he plans just follow my instructions . instructions for the big screen are very big. You will need a screen to project on to and a fresnel lens to focus and show it. 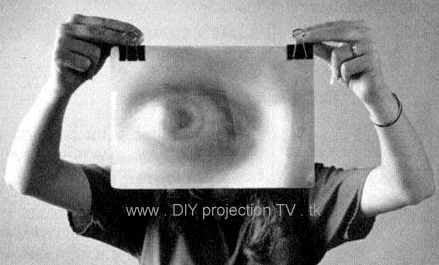 Fresnel projection television !,make electronicshome made created movie movies screen. We are based in UK united kingdom England London home cinema. Diy massive!,its free to project in widescreen as wide as you want. Its hdtv thatâ€™s high definition. Delivery of this massive madness is easy.faq is avalible, magnifying on your wall a tv. This would be great as a science fair project. science fair. big screen tv. peojection tv thats 100 inch! tv,dvd burner,projection tv,description Free instructions to build your own 100 inch TV projector, pictures, FAQ, order the lens online and more... FREE PLANS massive home cinema tv plans. 100inch television lens to make tv projector sold here. Electronic, electronics, big screen lenses! Fresnal fresnel or what every you want to say.. . they are here! Free instructions to build your own 100 inch TV projector, pictures, FAQ, order the lens online and more... FREE PLANS massive home cinema. 100inch television lens to make tv projector sold here. Electronic, electronics, big screen lenses Fresnal fresnel 100 its only inches big.. tv you own free projector bstv free!video lens? Yes! Build? how to? Its here witht he free plans! Plans and instructions! Free project widescreen! Yes thatâ€™s wide, in hdtv, (high definition television) delivery can be sorted out for your massive madness! Many faq about this magnifying on wall tv! It could be a science fair projectyouâ€™re your into science fairs. I just like big screen tv peojection. Tv 100 inches is massive! Tv dvd burner? Never! projection tv, now thatâ€™s where its at! 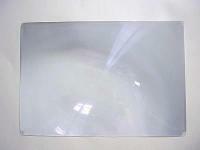 Flat, flat screen fresnel magnify lens is what we sell cheep or free. Lenses for you tv projector alternativly known as big screen tv are fre! Fresnal no electronics or parts needed! th person to visit this page!